Dubai: Road networks to Abu Dhabi island will remain open as usual on February 5 during the Papal Mass, organisers of the Papal Mass clarified on Thursday. They denied reports that the roads to Abu Dhabi Island will be closed to cars during the Holy High Mass of Pope Francis at the Zayed Sports City Stadium. “There is a detailed plan in place to ensure easy access for the estimated 135,000 people who are expected to attend the Mass, including free buses provided by the Abu Dhabi government. 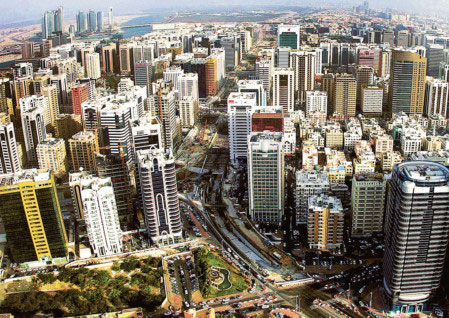 Event organisers have been working closely with the Abu Dhabi Police and other Government bodies to also ensure that the event does not disrupt the daily business life of the capital,” organisers said in a statement on Thursday. The mass is a ticketed event and Catholics attending the mass with entry tickets will also get free transport tickets with the Access Hub of their choice. Children over the age of two are also required to have tickets for security reasons. Those taking the free bus rides must be at their chosen Access Hubs early, exact locations of which will be announced later. Catholics attending the mass but are travelling on private cars must park at the Yas Gateway Park on Yas Island and catch a bus to the stadium. They also are required to request transport tickets to ensure they will be allowed to park and benefit from the shuttle bus service. The walking distance from bus drop-off points to the Stadium has been shortened to 500 meters to a kilometre. Abu Dhabi residents with tickets who wish to walk to the venue may do so but should carry their Emirates ID and follow police guidance as required. Commenting on the transport plans and logistics for the Mass, Fr Michael O’Sullivan, the UAE Papal Visit Coordinator on behalf of the Apostolic Vicariate of Southern Arabia, thanked the Abu Dhabi government for their “support and generous provisions of free buses and parking arrangements to enable Catholics from across the UAE and the region to easily reach and participate in the Papal Mass”. “We have been working closely with the authorities in the capital to ensure that the transport and travel arrangements run as smoothly as possible for such a momentous occasion,” Fr O’Sullivan said. “We would stress that the event is for ticket holders only one, and urge individuals to check and stay in touch with their local parish coordinators for updates and additional information they may require to ensure they receive both their Entry and Transport tickets and select the Access Hub that is most convenient to them,” he added.